This entry was posted on March 18, 2019 by Amberley Publishing. 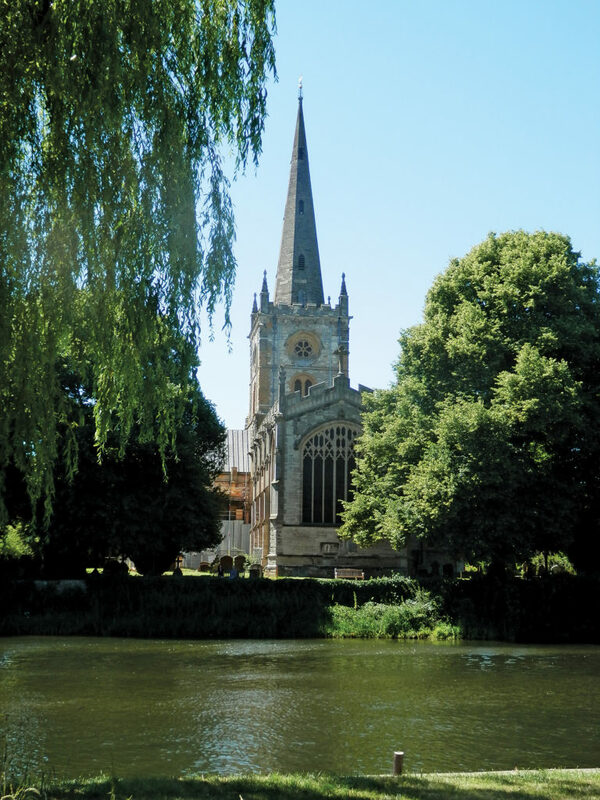 I was delighted to have the chance to contribute a Stratford-upon-Avon volume to Amberley’s ‘A-Z’ series, as the town and I go back a long way. I’m a ‘Coventry kid’, having lived in that city for the first 19 years of my life, so Stratford was only just down the road. My sister and I were lucky in that our parents were theatre-lovers, and we made frequent visits to the Memorial Theatre during the 1960s. In those days the theatre had a small apron stage, and on either side of the stage projection were a couple of very short rows of diagonally positioned seats, right under the edge of the apron. Because of their unconventional position, I guess they were relatively inexpensive; whatever, my parents, who didn’t have a lot of money to throw around, booked us into these seats, which meant that we were often really in the thick of the action! You had to crane your head up to see, and only got a sort of sideways view, but in battle scenes we were likely to have a cannon or a corpse rolled in front of us, and we were also in the direct line of fire of any of the ‘spitty’ actors of the day. Talking of the actors, my mother, then in her late thirties, was quite stage-struck, so she and I often found ourselves part of the gaggle of autograph hunters at the stage door after the performance. One actor we saw frequently, though nameless now, was a regular extra – third spear-carrier from the right and so on – and always went home on a bicycle; he became known to us as ‘the bloke on the bike’. At the other end of the acting scale, I see from my autograph book, which I still have, that in the mid-1960s I obtained signatures from such greats a Judi Dench, Marius Goring, Tony Britton, Diana Rigg, Ian Holm, Eric Porter and David Warner, all appearing with the RSC. Attending other events in the town – poetry readings and the like – I see that I also have the autographs of John Betjeman and Donald Pleasence. We travelled to Stratford from Coventry in Dad’s Ford ‘Pop’, and generally managed to get a street parking place in Chapel Street, not far from the theatre – very unlikely these days, I would imagine. The car had no heater, so on the journey home my sister and I in the back had our knees covered by a tartan blanket, and were frequently called upon by Dad to ‘wipe the back window’ with a duster to remove the condensation – no heated rear screen either! The journey was traditionally broken by the purchase of four bags of chips from a fish and chip shop in Warwick – a welcome treat on a cold night! 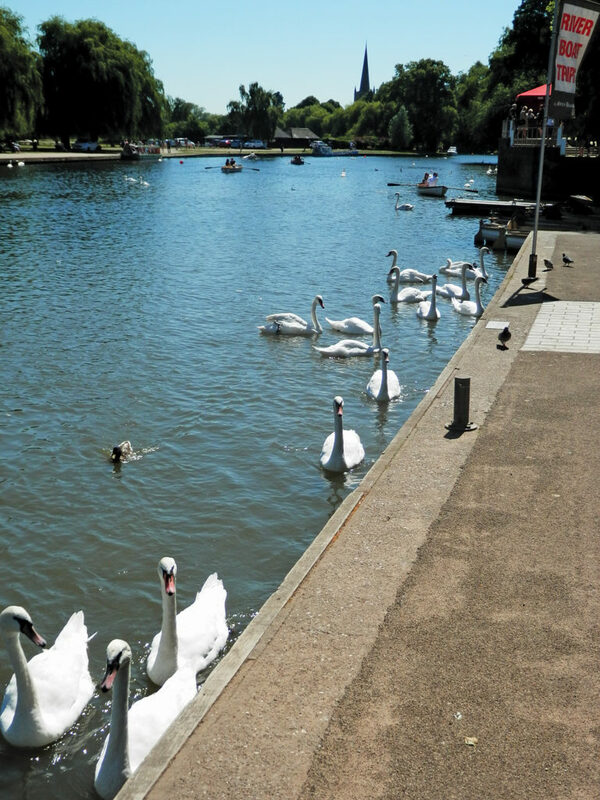 In later years, having moved away from Coventry, my wife and I would often have a day out with Mum and Dad in Stratford, enjoying its variety of shops – and tearooms. Sadly, as my parents became less mobile, so these occasional excursions inevitably became less frequent, so it was a great pleasure to have the excuse to re-acquaint myself with the town by researching the book – especially the non-Shakespeare-related aspects. For example, I didn’t know that John Profumo was the town’s MP at the time of the notorious 1963 scandal. The contributions to ‘Bardolotry’ by eccentric romantic novelist Marie Corelli, eminent actor David Garrick and the Flower brewing family produced fascinating insights. I also didn’t know that Stratford had a listed telephone kiosk, and was home to the Royal Label Factory, which produced many of the cast road signs and signposts that were so familiar in the 1960s. My wife and I spent a very enjoyable long weekend in June 2018, at the height of that summer’s heat wave, taking photographs for the book and exploring some of the town’s less familiar corners. 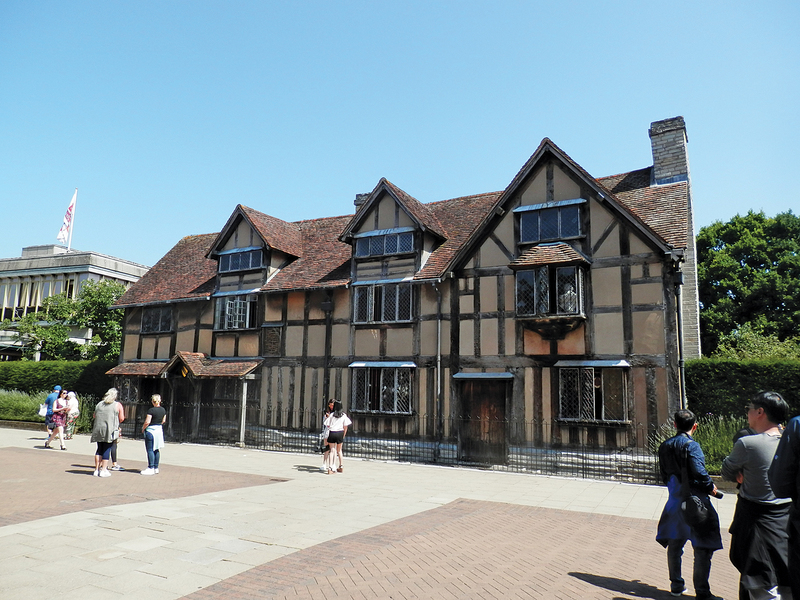 While the whole placed is steeped in Shakespeare, it is worth bearing in mind that he spent much of his working career in London, and essentially very little is known about him, his life and death, and his family – which is perhaps what makes him so endlessly fascinating to theatre-goers and scholars alike. What is certain (unless you subscribe to the ‘they-were-all-written-by-someone-else’ conspiracy theory school!) is that when he died in 1616 he had written some 37 plays and 150 sonnets – and he was only 52 years old. Quite an output! 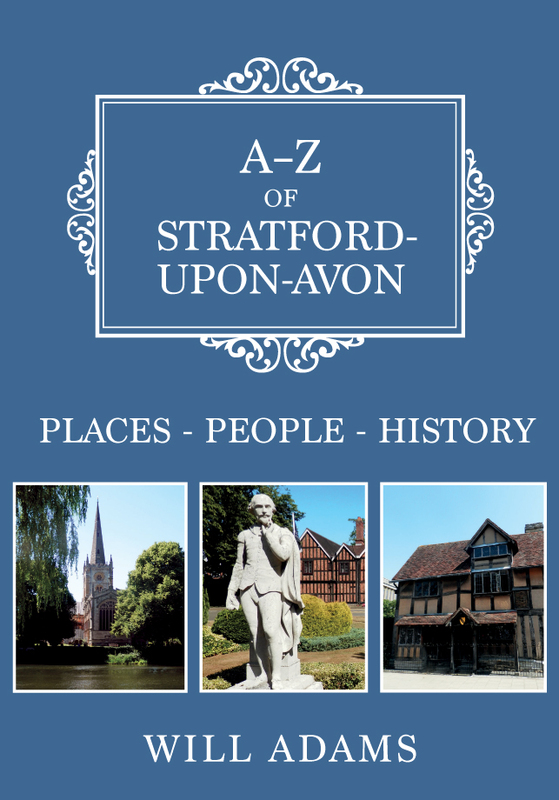 Will Adams' new book A-Z of Stratford-upon-Avon is available for purchase now.